When it comes to most things, I try to keep it simple and healthy. Whether it is a natural beauty product or it is cooking up a meal. I just can't stand all the added chemicals in the products we use nowadays. What you put on your body, goes into your body, the same as what you eat. You all know by now, I usually try to make everything from scratch when I can. I especially love using anything I've grown myself or at least using the freshest ingredients I can find. Thankfully, in my most recent search online I discovered the company Redmond Trading, which provides people with products made with the same thought in mind. "Simple, clean, and real. At Redmond we believe nature has it right with products–and that we can’t improve upon nature. This principle, and a passion for wellness, is the philosophy behind all of our Redmond products. We keep them simple, clean, and real–just the way nature intended." 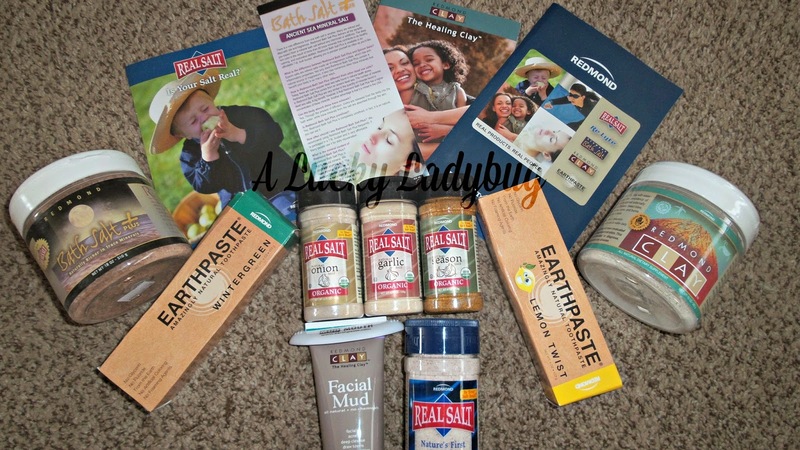 I was sent over a variety of their products to review including Real Salt (sea, garlic, onion, and season), Earth Paste (wintergreen and lemon twist), CLAY Powder, CLAY Facial Mud, and Bath Salt Plus! 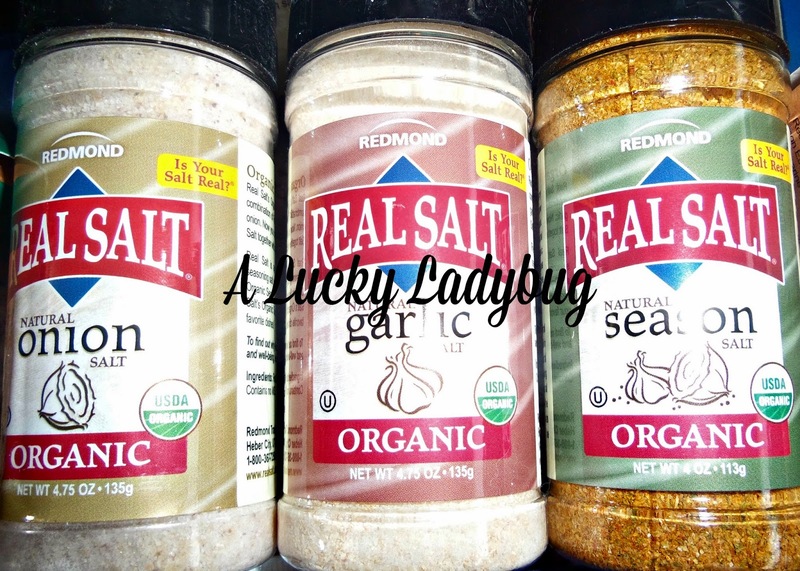 Now not only does my mother eat salt like it's going out of style but I love to cook with different kinds of salt myself, especially garlic salt. 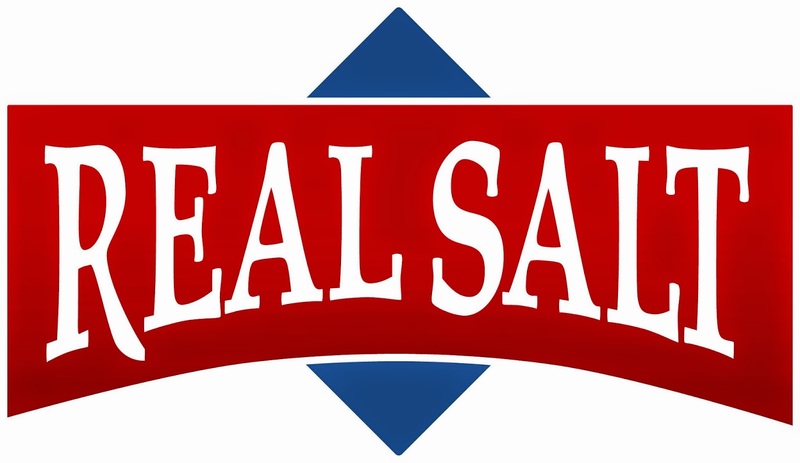 With nothing added to it OR taken away Real Salt is a completely natural sea salt with more than 60 trace minerals. It tastes like salt should taste and looks like it should look. While the salt at the stores can appear much prettier, it isn't. It's been loaded full of other chemicals or stripped of the good stuff that makes your salt real. I wish I had gotten the popcorn salt to try since the kids have been using this on their popcorn anyway, LOL. I feel as though the garlic and onion salt are the best and to be completely honest I've been adding them to everything since they arrived. I've grown to absolutely love the way these taste! I've also decided to purchase the salt in bulk to use in my canning recipes like the garlic pickles and spaghetti sauce since everyone in my family seems to love the difference now too! 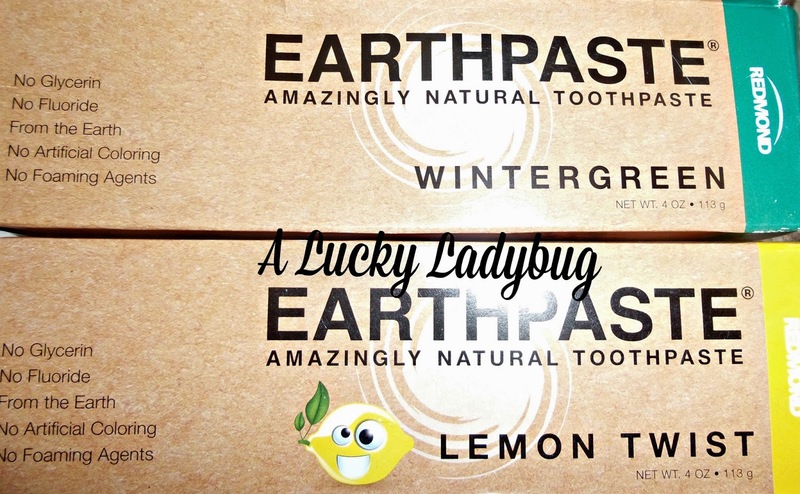 Earthpaste is made using only natural ingredients and completely safe for children to use. The biggest difference you will notice is the foaming agent (chemical) used in most toothpastes. There are ingredients like Food Grade Redmond Clay®, non-GMO certified Xylitol (you know I'm all about this natural sugar and all it's benefits), Redmond Real Salt®, Tea Tree Oil, Menthol, Purified Water and Essential Oils. The Earthpaste has a different texture so be prepared when first trying it. While I am not one for the taste of different kinds of natural toothpaste like these two, I did think they were much better tasting than others I've tried. I want to also recommend that if you do find you enjoy the Earthpaste and want to make a complete switch ONLY give your dogs the Spearmint Earthpaste as it is the only one without Xylitol which can be harmful to dogs. A lot of people don't understand the true reasoning behind using bath salts. "Through osmosis, toxins are released from the body into the bath water, while trace minerals from the sea salt are absorbed through the skin." Redmond Bath Salt is a natural mineral sea salt safe enough to even eat. Both of the bath salt varieties from Redmond contain more than 60 trace minerals with the only difference being "Bath Salt Plus has a higher concentration of minerals and natural clay than our Redmond Bath Salt". I have not yet had the opportunity to try this one yet in a full bath because we are in the process of moving and there really hasn't been time to take a bath and our bathtub is actually filled with boxes. I have however, used this in a foot soak a few times and loved every minute of it each time. This feels great after our softball games on the weekends and after really any long day on your feet! I cannot wait to soak in a long bath at the new house to help all my sore and tired muscles after the move! "Redmond Clay is a completely natural bentonite clay, extracted from the earth and brought to you in its pure, natural state." Clay has a "negative electrical charge, attracting positively charged toxins" working essentially similar to the bath salts by pulling toxins from the body. Clay can be used for a variety of reasons, internally or externally, to help with a variety of ailments. 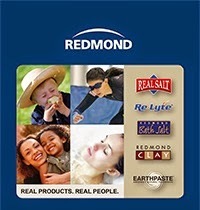 The Redmond Clay Powder contains no additives, chemicals or preservatives. Let me tell you this powder came in handy this past week after I spent a little bit too much time outside at a concert with no sunscreen on. I mixed this up and tossed some on the back of my neck, shoulders, and between the hooha's. My sunburn was relieved instantly including the stinging, the puffiness, and a lot of the redness even. The Facial mud's smell was even a refreshing one, I felt like it was truly pulling out the impurities! Dane said I looked like I was playing in the mud but that made it more fun like I was pampering myself at a spa! This mask cleaned my face without drying it out and I have already begun to notice a difference in my acne after only few applications. I wish I had known about the clay baby powder when my boys were babies as it would have been a fantastic product to have for those terrible diaper rashes they used to get! Recommendation: These are ALL great products for anyone looking to bring healthy and natural into their lives. The pricing is great considering how much natural product you are getting. There is such a massive variety of uses for all of these products, I highly recommend checking out the website. 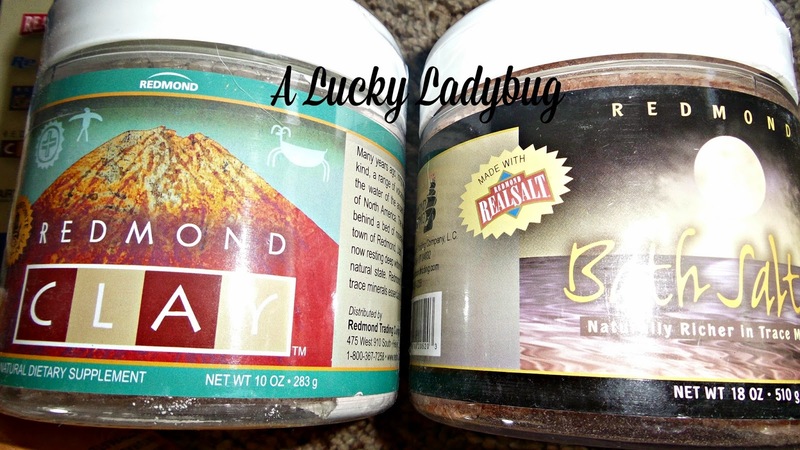 Giveaway: Redmond Trading is going to give one of A Lucky Ladybug's lucky readers a 10 oz Shaker, a Tube of Peppermint Earth Paste and a Facial Mud Tube to try of their own! I would like to try a variety pack because I would be able to see what I liked or do not like. I would like to try the redmond clay on my dogs dermititis. I would really like to try the Redmond Clay First Aid! I have never tried their products before. I would like to try their Organic Seasonings. I don't have Instagram so I did not get the group entry. :( I followed you on everything else though. I would like to try the Re-Lyte Electrolyte Replacement Capsules. The first aid clay would be nice. I would like to try the Earthpaste Lemon Twist. I would love to try their Lavender Soap!